It's no surprise that we love tacos in this house. I tend to make them a few times a month! I'm always looking for new ways to prepare them and since I am obsessed with the Cuban sandwich I figured why not make a Cuban version for tacos. Yes, this isn't your traditional Cuban street taco but it was yummy nonetheless! We gobbled them up! Place roast in bottom of the crock pot. Add remaining ingredients. Cover and cook on low for 6 hours. 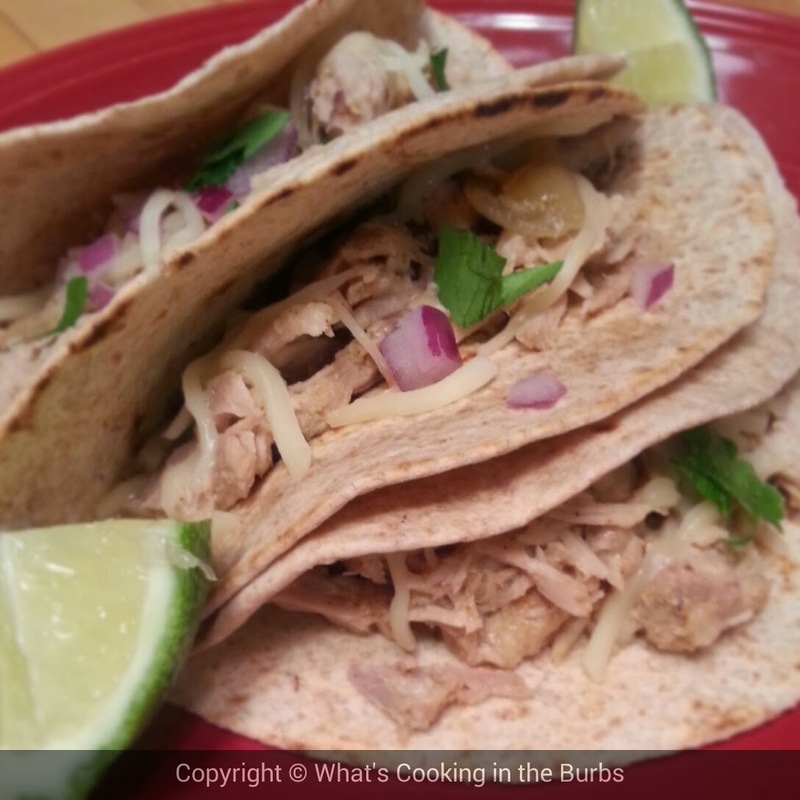 Shred pork and spoon into warm tortillas. Top with toppings of your choice. Enjoy! I like the citrus and all spice flavours in these tacos. Thanks for sharing at Simple Supper Tuesday.